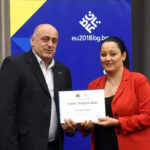 Congratulations to all Bulgarian enlighteners, writers and revolutionaries who, with their lives and activities through the ages, have contributed to the revival of the Bulgarian national spirit. Let’s keep it too! ReaSevt offers you to make a festive healthy drink with 1/2 teaspoons of syrup or some kind of juice along with lime juice and lime slices . 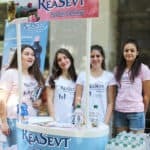 Fill the glass with natural rose water “Rea Sevt” and enjoy the freshness and the wonderful taste. You can also add some honey at will! Drink and be healthy!